Featuring 2019 pricing charts for all European rivers. 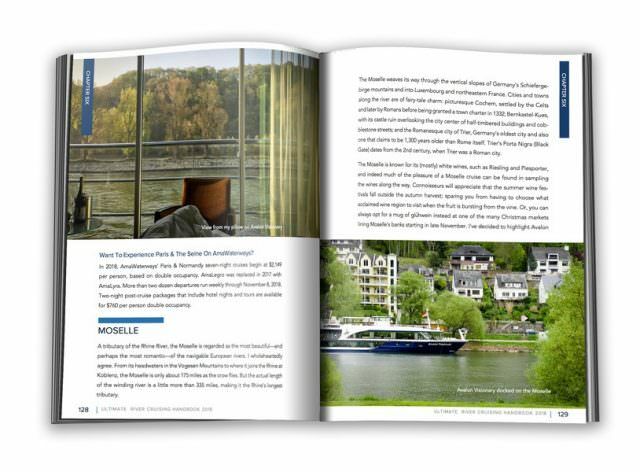 Inside The Ultimate River Cruising Handbook, you'll find special savings from AmaWaterways, Emerald and Scenic. 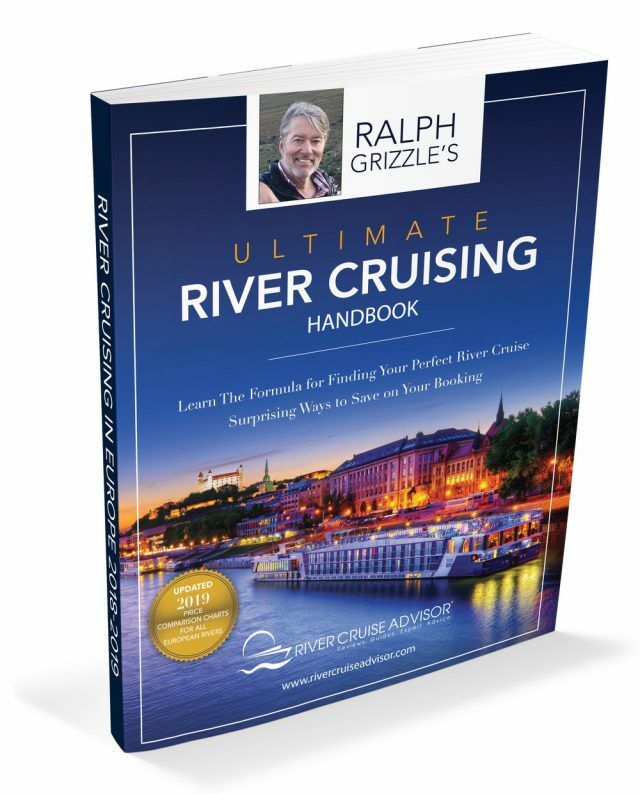 Spanning 274 pages, the Ultimate River Cruising Handbook is available in four versions. Be sure to choose the one best suited for you. The .epub version is optimized for smartphones and tablets, while the .pdf version is optimized for computer screens. Both are large downloads, so if you do make a purchase, be patient (and be on WiFi for the best download experience). I recommend owning a copy of the digital version as it includes links to articles and videos - and it will be updated frequently, particularly valuable for those of you who rely on the pricing charts at the back of the book. The digital version costs $14.95. There are two versions of the print edition. A black-white-version is available for $24.95 while a full-color version is available for $49.95, plus shipping & tax. If you can pony up what is essentially double the price, I recommend the full-color version as it includes more than 100 photographs as well as color charts. You can see the differences below. It is an excellent resource, and lives up to your vast knowledge of the subject. Your comments on Scenic's trip to Bordeaux has us sold on that trip in 2020! I am very much enjoying your River Cruising Handbook. I find it very informative, honest, and exciting to read ... thanks for putting all the info in a well written and concise fashion! Great value, and good introduction into all types of river cruising. I appreciate the pricing updates.